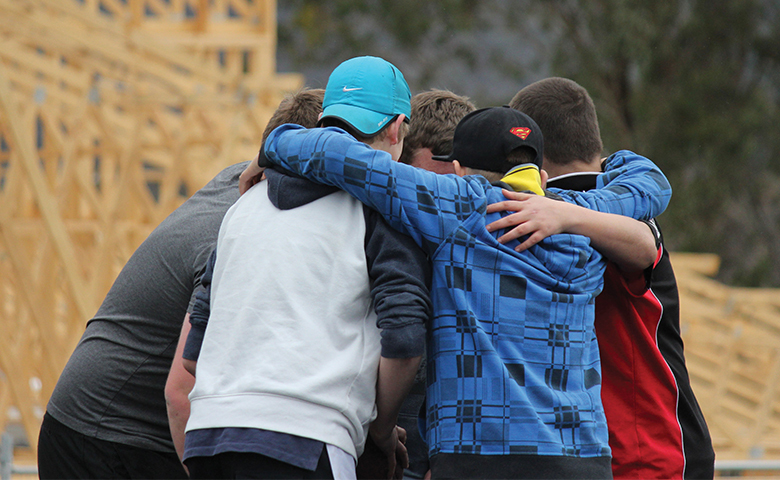 Our Galilee School is a registered, independent secondary school designed specifically for disengaged and vulnerable young people in years 7-10 in the ACT and surrounding areas. Students of the Galilee School are those for whom the mainstream schooling environment struggles to deliver positive learning outcomes. The school provides students with a quality education consistent with the Australian Curriculum and provides pathways for students to transition into further education or employment. The approach taken by the school is not a ‘quick fix’, but rather one that seeks to nurture the long-term resilience and resourcefulness of each student. This approach is visible in the outcomes achieved by many students at the school. One particular student that started at the Galilee School had come from a long history of family violence. He entered care at the age of 11 and moved around many different schools before starting with Communities@Work’s Galilee School at the start of year 9. At the beginning, his attendance at the school was sporadic but as he began to build positive relationships with the adults working at the school, he started to set goals and align his focus to his education. The student was able to focus on his strengths, while the teachers worked on creating an environment that fostered belonging and flexibility. The student was proud to graduate at the end of year 10, with an 80% attendance rate, and news that he had secured successful employment. He continues to make positive contact with the staff at the Galilee School and keeps them updated about his continuous progress. Find out more about our Galilee School here.